On an earnings call to discuss Sony's disappointing third quarter, its CFO acknowledged its need to better promote the Vita. The PlayStation Vita has been on the market almost a year now, and it's safe to say the handheld is off to a slow start. Sony lowered its sales expectations for the Vita and PSP last November, and was forced to do so again yesterday, citing "slow penetration" as the reason its newest handheld wasn't selling as quickly as expected. One of Sony's top execs has another reason: the company needs to do a better job promoting its products. On Sony's Q3 2012 earnings call, CFO and Executive Vice President Masaru Kato stated the obvious: "In terms of profitability, we have to do a better job in promoting the PlayStation Vita mobile product." He elaborated by discussing the need for more games, and said Sony was focusing on "not just first party, but also asking third parties to put out more attractive software." 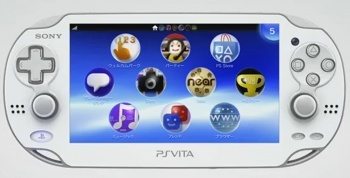 While Kato wouldn't extensively discuss the idea of a Vita price cut, he did briefly mention the elephant in the room by saying Sony was "looking into" the marketing and pricing of the Vita in order to "improve our profitability in the mobile handheld gaming business." Sony now expects to move a total of seven million handheld units before the end of the fiscal year in April, though the company didn't clarify how close to that target it is. I'm sure Vita owners would agree with Kato's assertion that the handheld needs more software, and those on the fence would probably like to hear a little more about what Sony is "looking into" as far as the Vita's pricing is concerned.